Jason Momoa has laid claim as the grizzliest man in Hollywood—and his latest film, Braven, only reinforces that title. After facing off against the dangers of Westeros on Game of Thrones, an apocalyptic landscape in The Bad Batch, and flying villains in Justice League, Braven gives Momoa the chance to show off his brute strength as he takes on a group of ruthless drug dealers in one of the most physically demanding roles of his career. Why was this role such a physical challenge, even for a guy as formidable as Momoa? Chalk it up to shooting in sub-zero temperatures in the Canadian wilderness, working on the edge of snow-covered cliffs, and having to fight in close quarters using a range of different weapons and martial arts disciplines. Stunt coordinator Rob Alonzo, who has done stunt work on films like Deadpool, Star Trek, Mission: Impossible – Ghost Protocol, and Netflix’s Bright, got to see Momoa up close during the shoot—and he was impressed. 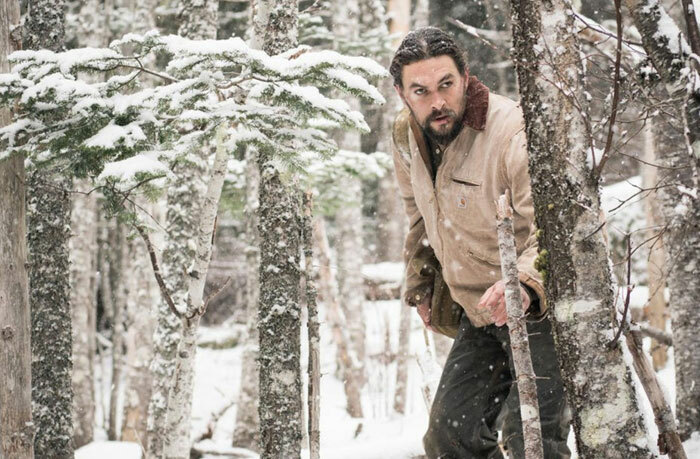 In Braven, Momoa stars as the too-perfectly-named Joe Braven, a lumberjack who’s hoping for a quiet weekend with his father (Stephen Lang)—and later, his wife and daughter, who arrive unexpectedly—at their remote hunting cabin. But when Braven discovers a huge stash of drugs hidden in the cabin, he’s confronted by a group of vicious drug runners with a ruthless leader (Garret Dillahunt), forcing Braven to fight back and save his family using his survival skills, his wits, his fists, and (of course) a flaming axe. 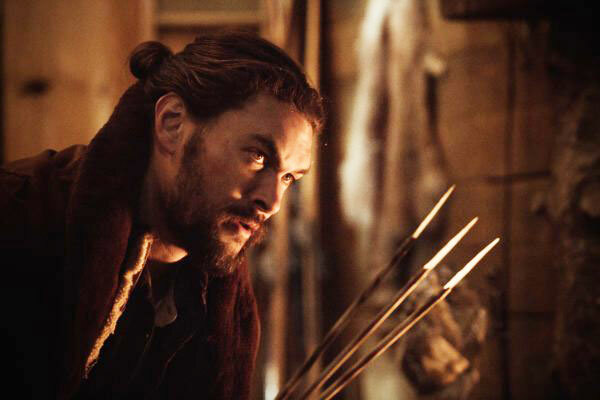 Since Momoa’s character is a family man and lumberjack, Alonzo developed a training program and action scenes that would reflect Braven’s “brawler and survivor mentality,” rather than precise combat styles of an elite soldier (as in Jason Bourne) or expert assasin (John Wick). The goal was to make the action scenes feel “realistic” and natural. Momoa didn’t do much kicking in his training, mainly because Alonzo felt it would be out of place for Braven’s character. Momoa used his fists quite a bit in Braven, but what makes his performance such a badass display is the Rambo-style arsenal he got to put together. Braven uses knives, axes, bows, and other weapons fashioned from items in the cabin—like a carved wooden stake—to fight back against the drug runners. 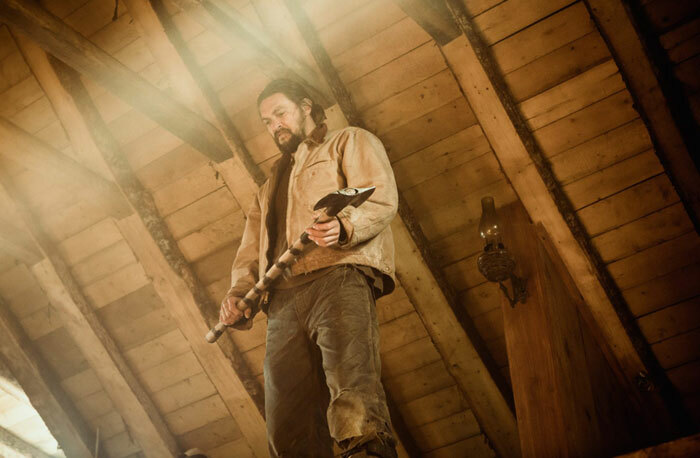 Momoa already knew a thing or two about throwing axes (just take a look at this video of him throwing one while drinking a beer) but he became an expert for Braven. Alonzo worked closely with the actors on the fight scenes, repeating drills and going over the choreography without weapons so the actors could get comfortable and “develop a heightened sensitivity” for how they move in the scene. Then, Alonzo asked the actors to do the same drills, but change up their timing. That way, Alonzo says, they would be more reactive, making them more present in the moment, rather than focusing on the choreography, which could make the scenes feel staged. It helped add even more realism to the brutal fights. The most difficult part of the production for Alonzo was preparing for the climax of the film, in which Braven battles against Dillahunt’s character on the side of Red Cliff in Newfoundland. (While we won’t spoil exactly how it goes down, just know it involves a bear trap.) This onscreen battle was challenging for Alonzo, because until Braven, no film had previously shot at the location. Having previously worked on big-budget action films like Avengers: Age of Ultron and Mission: Impossible – Ghost Protocol, Alonzo enjoyed the experience of working on a smaller-scale movie. Momoa had a lot of responsibility on his shoulders being the star, but he only made things easier for Alonzo. Alonzo also had high-praise for Momoa, Dillahunt, Lang, and the rest of the cast for their work on the film. Braven, directed by Lin Oeding, is now in theaters and available on video-on-demand services.